The Rhätische Bahn operates an hourly train service from Chur to Arosa (approx. 60 minutes). 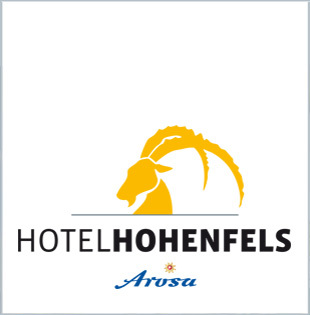 From Arosa railway station, the free ski bus will bring you to the Hotel Hohenfels (“Rathaus” stop), or we will be pleased to pick you up if you contact us beforehand. With the Arosa Lenzerheide Snow Sport Pass, journeys on the Chur-Arosa-Chur line are free of charge in conjunction with winter sports. You can order a voucher for your first journey up to Arosa. From Chur onwards, the following restrictions apply for buses and coaches: max. width 2.3 m, max. height 4.0 m and max. overall weight 18 t.
The rooms are ready as of 3 pm. You are welcome to leave your luggage at the hotel on the day of your arrival/departure. Snow Sport Passes or Arosa Cards can be collected from the hotel reception during the reception opening hours.